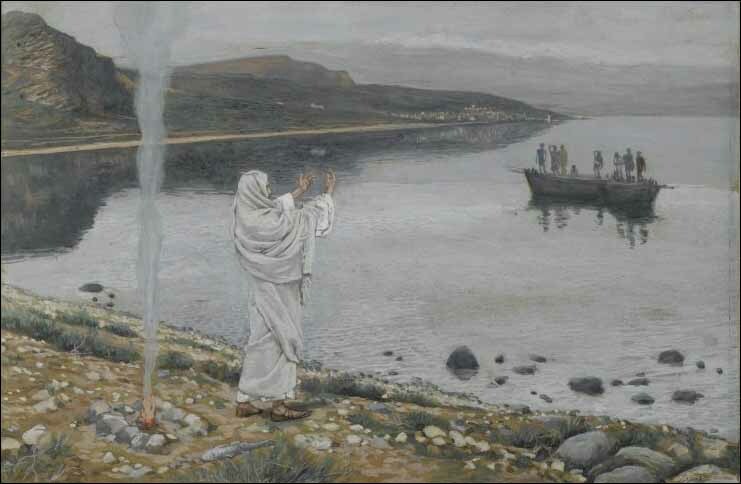 1 Afterward Jesus appeared again to his disciples, by the Sea of Tiberias. It happened this way: 2 Simon Peter, Thomas (called Didymus), Nathanael from Cana in Galilee, the sons of Zebedee, and two other disciples were together. 3 "I'm going out to fish," Simon Peter told them, and they said, "We'll go with you." So they went out and got into the boat, but that night they caught nothing. 4 Early in the morning, Jesus stood on the shore, but the disciples did not realize that it was Jesus. 5 He called out to them, "Friends, haven't you any fish?" "No," they answered. 6 He said, "Throw your net on the right side of the boat and you will find some." When they did, they were unable to haul the net in because of the large number of fish.